This week's announcement that Tesco is to delist children's drinks with added sugar has been labelled a 'war on sugar'. Ian Humphris, joint MD of agency LIFE asks why Tesco is acting like a self-appointed regulator. Tesco has said it is making the move to ‘help consumers make healthier choices’. Depending on your outlook, the company is employing ‘nudge’ tactics to encourage better decisions, or is acting as a self-appointed regulator of unhealthy behaviour. But when a large, powerful organisation acts in this way, often the volume of dissent will outweigh the good intentions, as the inevitable Twitter storm that has erupted this week indicates. But is this dissent entirely justified? It is very laudable that the biggest retailer in the UK has taken up the responsibility to promote this issue. It is probably doing it before it is told to do it, but is it going the right way about it at a time when it is suffering a massive trust deficit with UK shoppers? Tesco should be the first to acknowledge that it can’t do it all itself. It is making real changes by committing to cutting sugar in its own-label drinks by 5% year on year but in the longer term - if it is serious about this stance beyond a short-term PR victory - Tesco will have to work openly and collaboratively with a whole host of other groups, including consumers, advocacy groups, branded suppliers, and government to address the bigger issue that is physical exercise. The battle needs to be fought on two fronts. Cutting a proportion of sugar out of their buyers’ food or drink groups is a good first step. But changing families’ views on diet, exercise, health and wellbeing is the really tough bit. 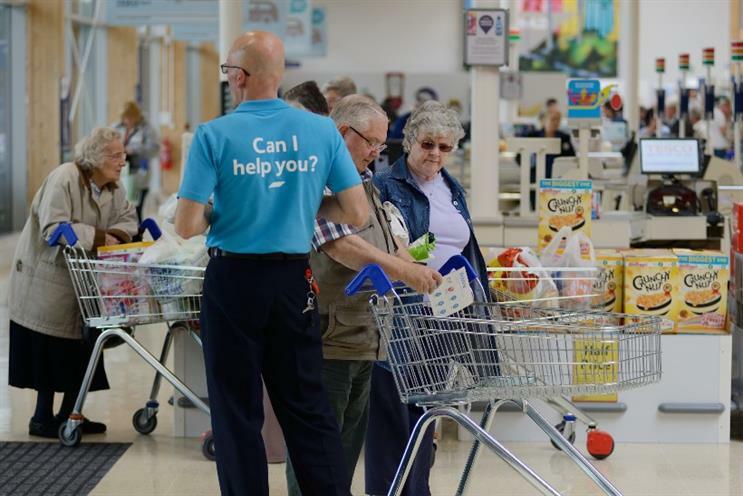 Like it or not, Tesco is part of the family, and its scale, weekly reach and data could be used very positively indeed when tackling behaviour change. Somebody needs to provide inspiration, motivation and other tangible stuff to help families improve their own health and wellness. At the moment it all seems a little quiet on this front, but Tesco could own it. By putting some good back into the community via a long term, large scale investment programme – measured nationally and even by government -Tesco could help turn the dial. It could tackle a specific KPI, such as obesity, take on a sport, or turn its unused land bank and mothballed superstores into health clubs for us all. With the resources Tesco has, it could make a bigger difference than any other brand in this area but the brand needs to ensure there is a bigger ambition and goal triggered from its decision to shelve brands such as Ribena and Capri-Sun. With Tesco’s brand values still somewhat tarnished and ill-defined, the idea of the supermarket as a guardian of the health and wellbeing of the family is maybe stretching things a bit. But as they say, every little helps. Should Tesco decide which products are too sugary?